Star vintner Helen Keplinger ’94 thought that one day she’d be a doctor, but it was in the vineyards of Northern California that she found her true calling. In the world of fine wines, few winemakers get the chance to work with as dynamic a range of wine styles as celebrated vintner Helen Keplinger ’94 does today. She makes cabernet sauvignon for a string of prestigious wineries in Washington state and Northern California, including Napa Valley’s Grace Family and Carte Blanche. But her passion—and the focus of her own business, Keplinger Wines—has long been the grape varietals of France’s Rhone Valley: syrah, mourvèdre and, most of all, grenache. Twelve years later, grenache has grown in popularity and Keplinger has become known for producing high-quality wines and maintaining innovative, environmentally conscious business practices. Her high-end brand, Keplinger Wines, produces 2,000 cases a year of Rhone-style wines from sites that span Sonoma County to the Sierra foothills; her younger brand, Vermillion, offers more value-centric Rhone blends. 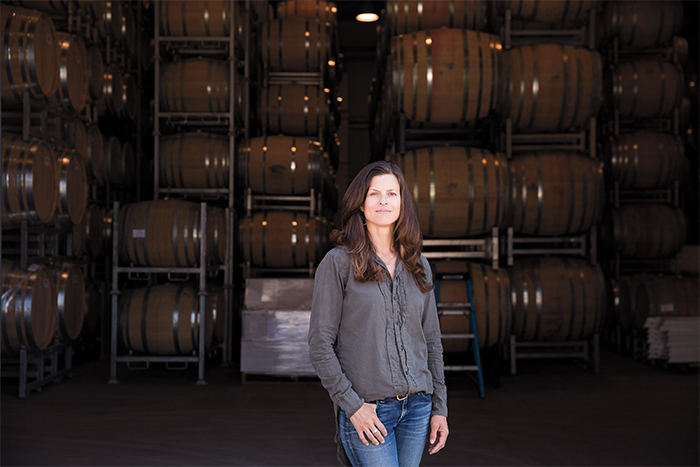 Keplinger owns neither a vineyard nor a winery, buying grapes from growers and making her wines at a Napa facility, in an arrangement known as custom crush. But her resourcefulness, vast knowledge and expertise have made her a star in the California wine industry. She’s been on the cover of Wine Spectator magazine, and Food & Wine named her winemaker of the year in 2012. 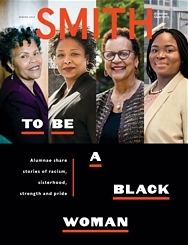 A year ago, Smith College honored her with the Smith Medal, recognizing her success as an entrepreneur and also her support of social causes. One of those, the Wine for the World organization, pairs U.S. winemakers with others from developing countries. Through that partnership, Keplinger produces a cabernet blend with South African vintner Ntsiki Biyela, with the goal of exchanging ideas and shining a light on a lesser-known wine region. To visit Keplinger at her home in Napa on a typical weeknight is to see her energy in action. She moves quickly and with purpose, still in her winery clothes—jeans, a flannel shirt, a puffy vest—as she multitasks preparing a meal of duck breast and quinoa, playing with her 2-year-old, Emerson, and asking those around her, “What do you want to drink?” She and her husband, DJ Warner, keep open at least half a dozen bottles of her various wines, which they sample over the course of a week, checking on their evolution. As she bends down to pick up Emerson’s toys, she ties her long, thick brown hair into a messy bun. Even at her most frenetic, Keplinger has a way of being hyper-focused, looking you in the eye and engaging deeply in the conversation at hand. Keplinger is generous with her time and has been an enthusiastic mentor to many Smith women who aspired to careers in the wine industry (including me as a wine critic) and alumnae peers like winemaker Sarah Green ’11 and vineyard manager Lonicera Lyttle ’10. Keplinger vouched for us when we needed references, advised us on workplace dilemmas, provided a place to crash in Napa and, perhaps most important, taught us how to taste like an expert. Keplinger’s own professional path is testament to her determination to find a career that matched her spirit, one that would make her truly happy. When she came to Smith from her hometown of Canton, Ohio, she had every intention of going into medicine. “Being a physician was one of the few professions of which I was aware when I was growing up,” she says. She had always loved science, a passion that Smith’s academic environment encouraged. After graduation, Keplinger took a research position at Massachusetts General Hospital in Boston. The plan: work for two years, then apply to medical school. But during those two years, her priorities began to shift. For one thing, she was becoming very interested in wine. Keplinger had grown up in a family that valued eating and drinking well: Her mother made everything from scratch, from bread to pasta and ice cream, and her father kept a cellar of modest wines. While living in Boston, Keplinger began her own tasting journey, buying a case of wine from a certain region, or of a certain grape variety, then working her way through the bottles, taking careful notes. Keplinger asked herself: What would make me feel fulfilled and happy? She knew she loved wine, but didn’t know how to make that into a career. When, during her “soul-searching,” she discovered that the University of California, Davis, had a highly regarded master’s program in oenology and viticulture, it suddenly clicked. She could be a winemaker. “My dad told me he’d be just as happy to see my name in Wine Spectator as in any medical journal,” she says. And so she went to California, with a new goal in mind: to learn to make wine—and to be happy. Happiness, even in the wine industry, can be hard won: Keplinger’s days are often a blur of running between the wineries where she works, driving the 100 miles from Napa to vineyards in the Sierra foothills, overseeing her wines’ bottling process and attending events to pour her wines for customers. But this hectic pace suits her. “Staying busy keeps me sharp,” Keplinger says with characteristic understatement. Now is a moment of change for Keplinger Wines. Buoyed by the launch of Vermillion, Keplinger has recently opened a tasting room in downtown Napa to introduce her wines to a broader audience. The next goal: “We’d like to buy property,” she says—a winery and vineyard of their own, no small feat in today’s Napa Valley real estate market. The idea of making a Smith College wine began fermenting during Helen Keplinger’s 20th Reunion in 2014. Wouldn’t it be fun, she and her class- mates mused, if they could be drinking a class of ’94 wine? A few years later, while leading a wine class for Smith’s board of trustees, Keplinger introduced the idea to President Kathleen McCartney. She loved it, but asked Keplinger: Rather than making a wine for the class of 1994, why not one for all of Smith College? And so in 2017 Keplinger created the Smith College Rosé. The grapes come from Shake Ridge Ranch, an organic vineyard in California’s Amador County owned by renowned grape farmer Ann Kraemer. At a 1,750-foot altitude, and with dense, rocky, volcanic soils, the site is a perfect match for Rhone varieties. A blend of grenache, mourvèdre and syrah, the rosé is pale pink and dry. Fleshy and floral, it’s more savory than fruity, hinting at orange peel, stony minerality and rose petal. Esther Mobley ’11 is the wine critic for The San Francisco Chronicle.